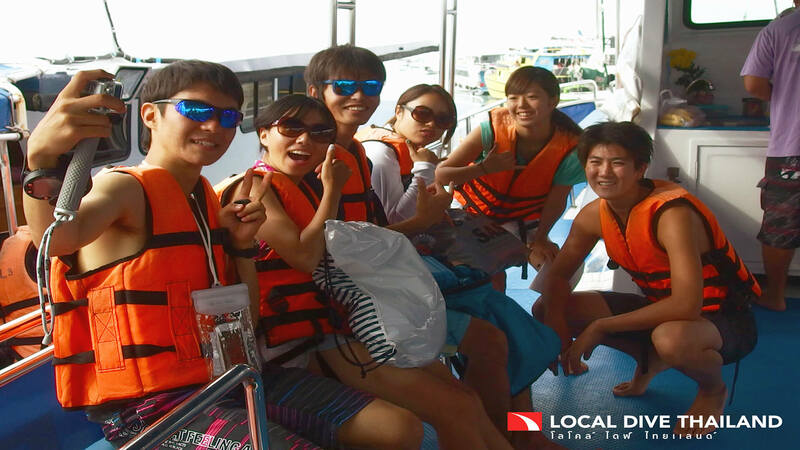 If you have a big group of diving friends coming to Phuket then why not personalise the tour and take the whole boat to yourself. Dive clubs, wedding parties and many other social assemblies have their own special requirements. We’ll supply everything you need for a great day out, you’ll just have to round up your friends and make sure that they turn up. 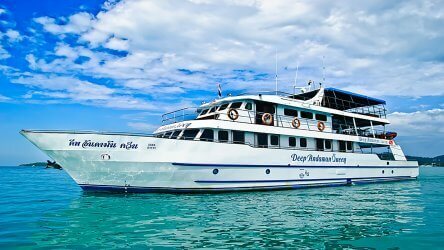 If you have a mix of divers and non-divers then we would recommend the Koh Racha Noi/Yai trip, if everybody on board is already qualified then all of are day trips are available. If you would like to customise the dive sites then weather and sea conditions permitting then that shouldn’t be a problem. Maybe a trip down to the famous south tip of Racha Noi or head down to the seldom dived bays 4 & 5 at Racha Yai. 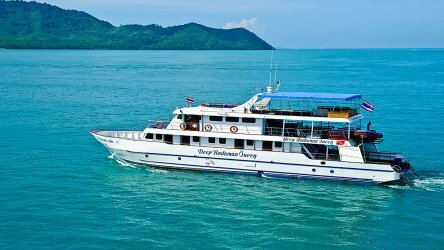 There’s nothing better than a day out with friends and our dive tour boat MV Choksomporn is perfectly laid out for big groups – she can take up to 40 guests. You’ll find plenty of room for everyone on the upper deck with a choice of sunshine or shade. The seating layout allows even large group to be within talking distance of each other and up the front there’s some very comfy bean bags that you may end up fighting over. 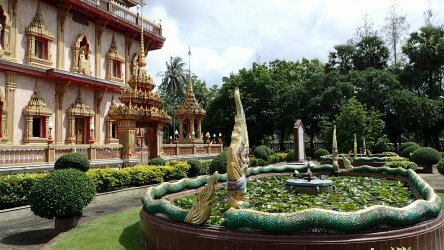 We’ll pick you up from Kamala, Patong, Karon, Kata, Rawai, Naiharn and Chalong. You’ll get breakfast, lunch and pancakes. Fruit, toast, tea, coffee and water are available all day. Tanks, weights, dive guide, snorkelling equipment and tourleader. A maximum of three dives in one day. 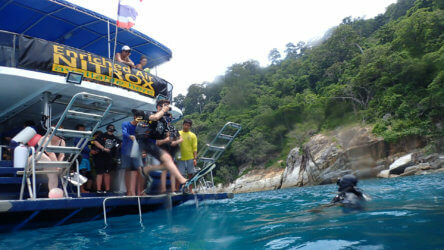 A full set of diving equipment is THB 300 per day – mask, fins, snorkel, wetsuit, regulator, BCD. Get in touch with Local Dive Thailand now to organise your special day.